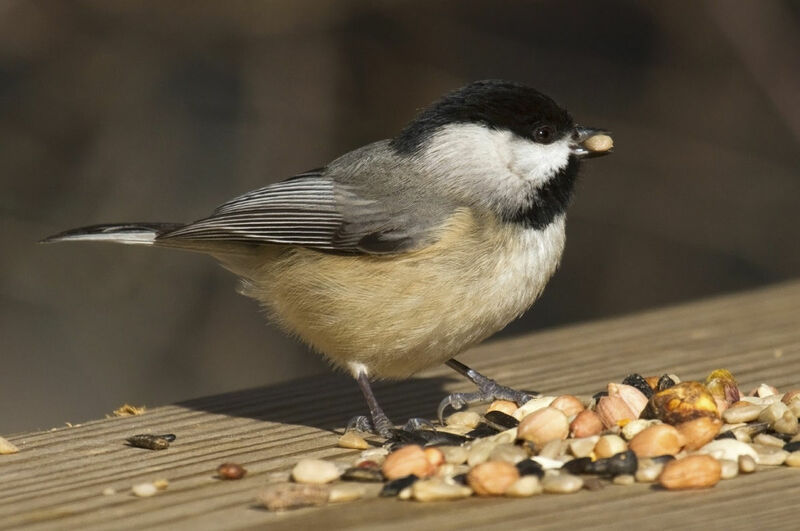 It has been speculated that renowned ornithologist, John James Audubon was the one who named these songbirds the 'Carolina Chickadees'. The Carolina chickadee (Poecile carolinensis) is a small songbird, and the only chickadee to be found in the American Southwest. This bird gets its name from the fast and high-pitched cry that it makes, which sounds a lot like chick-a-dee-dee-dee. Its habitat is spread through forested areas or urban and suburban yards or parks with large trees. What follows are some interesting snippets about this wonderful bird, which will help you know it better. 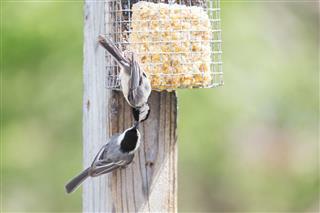 ● The Carolina chickadee has characteristic cap- and bib-like markings, which are black in color. 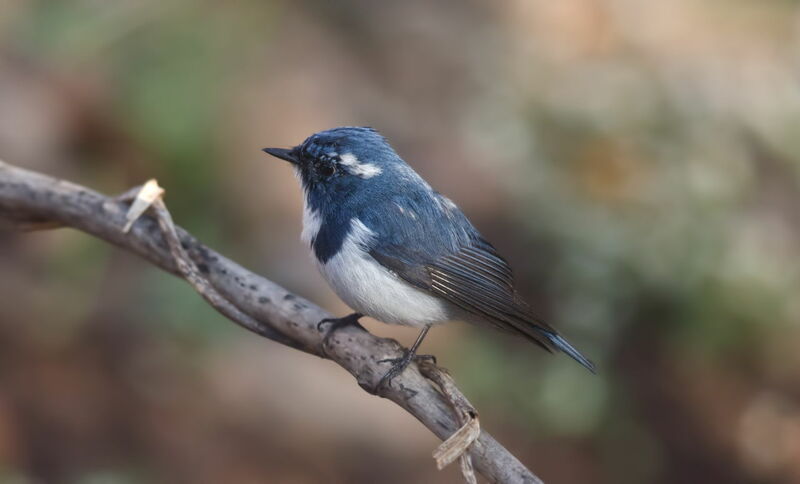 ● The bird's cheeks are white, and may have a pale gray smudge. ● Its back and rump are gray as well, with an occasional tinge of olive. ● The greater coverts are gray without pale edgings, whereas the secondaries and tertials are sparingly edged in dull white or pale gray, as are the flanks. 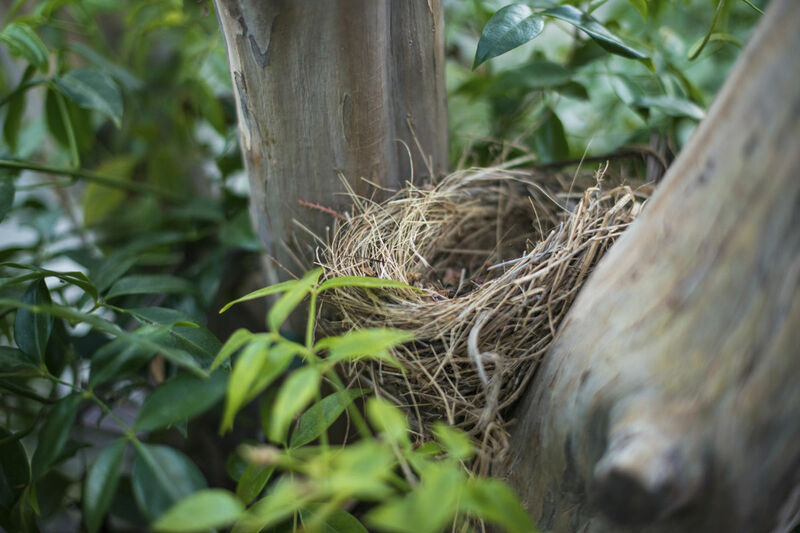 ● The bird is quite tiny, with a large head perched on a smallish neck, giving it a spherical appearance. ● The bill is small and conical in shape. 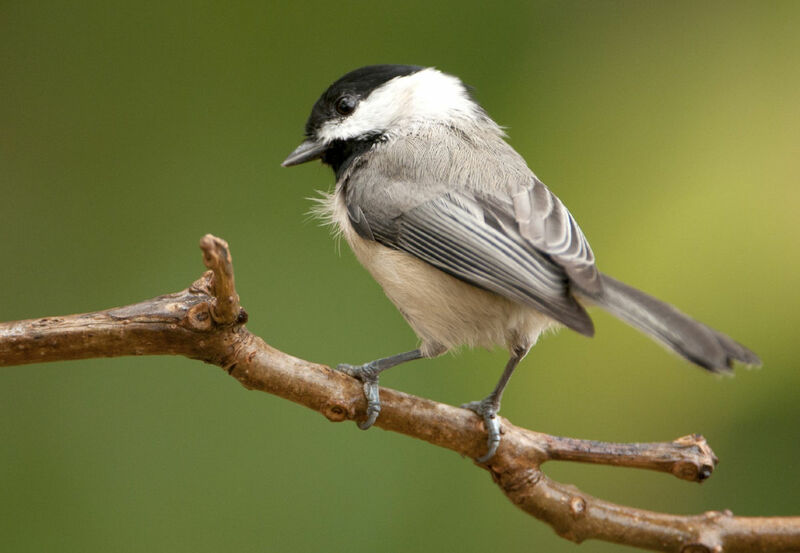 ● Adult Carolina chickadees are approximately 4.25 inches in length and are the smallest of the North American chickadees. Have you heard their song? 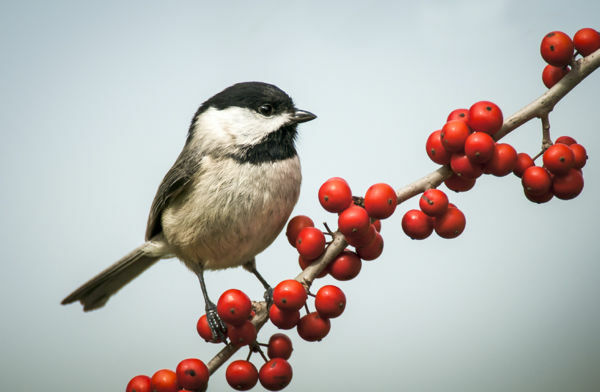 The high-pitched cries of the chickadees is what gave them their name, so it is natural for anyone to know how it actually sounds. Well, an ornithologist with an experienced ear is sure to tell you that the Carolina chickadee's peculiar chick-a-dee call is fervent and highly pitched as compared to the black-capped chickadee. 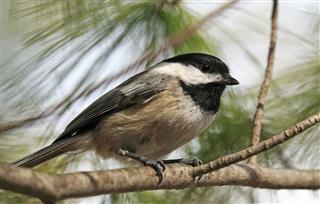 Also, the Carolina chickadee has a four-note whistling fee-bee-fee-bay song among its repertoire. 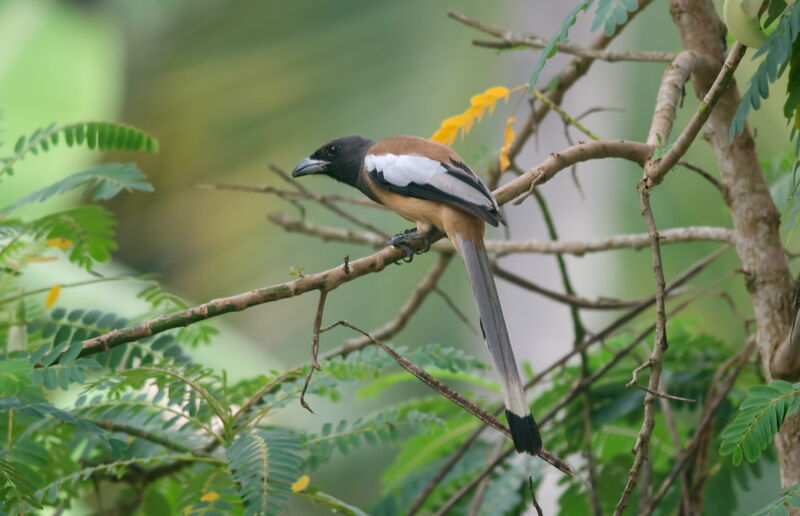 These birds can be found in forests, groves, wooded areas close to ponds, or marshy areas. They can easily be spotted in farms and urban areas as well. They build their nests in abandoned or natural cavities in trees, using feathers and fine grass, which are usually 4 to 15 feet above the ground. They also sometimes make their own holes in old trees, but don't mind living in urban birdhouses. 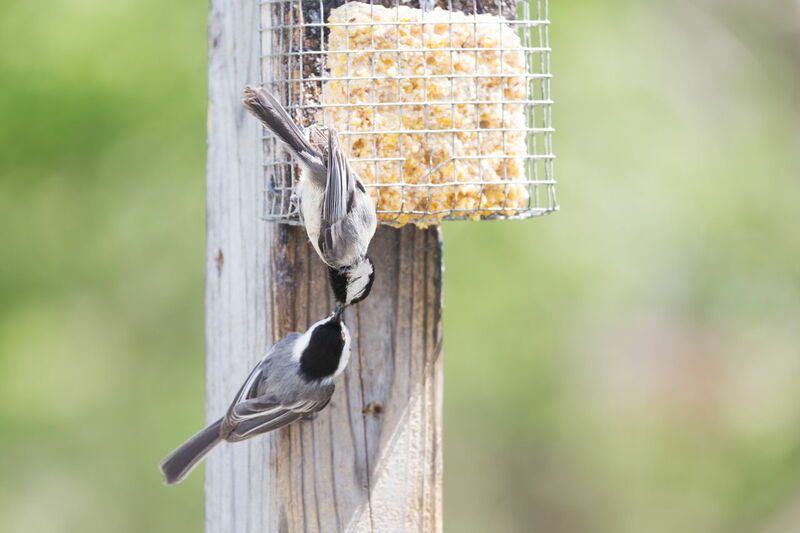 The diet of the Carolina chickadee primarily comprises insects, but they are also known to relish fleshy fruits, suet, berries, acorns, and seeds particularly during winter. You can often spot them hovering around trees, finding crevices to capture insects. Do they always live in flocks? Not really; the chickadees are quite solitary in nature during the mating season, and they tend to remain in flocks otherwise. They are known to be monogamous, and have been found to remain together for more than one mating season. Speaking of which, their mating season usually happens to be early spring, with an average clutch size of 5 to 6 eggs. The female hatches the eggs between 12 to 15 days, with the male bringing her food throughout this period. 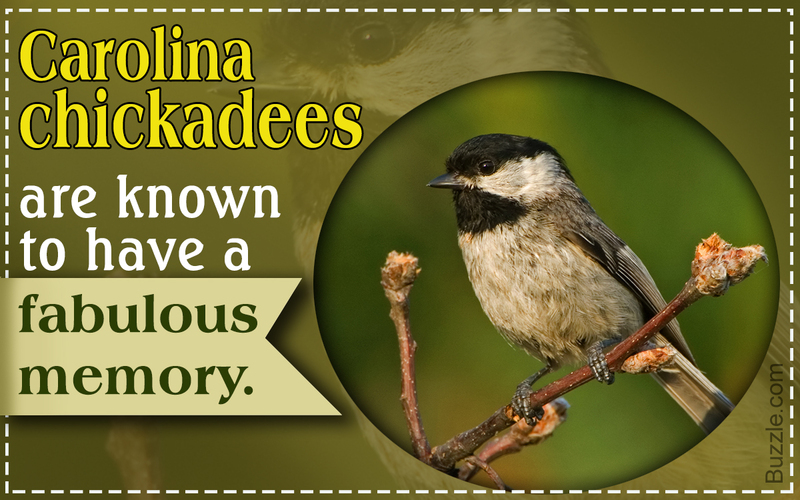 ▶ Chickadees are known to have a fabulous memory. They hide thousands of food items in different locations and have been found to successfully retrieve most of it. ▶ They are able to lower their body temperatures in order to induce a state of hypothermia. The purpose of doing this is to conserve energy during the harsh winters. During extremely cold weather conditions, they look for cavities to hide in; they then lower their body temperature and stay in a state of hypothermia for up to fifteen hours at a time. ▶ Carolina chickadees are so similar to black-capped chickadees that they sometimes can't tell each other apart, and end up mating―giving birth to hybrids as a result. ▶ Their favorite way to catch insects is to perch upside down on branches, and make short flights.